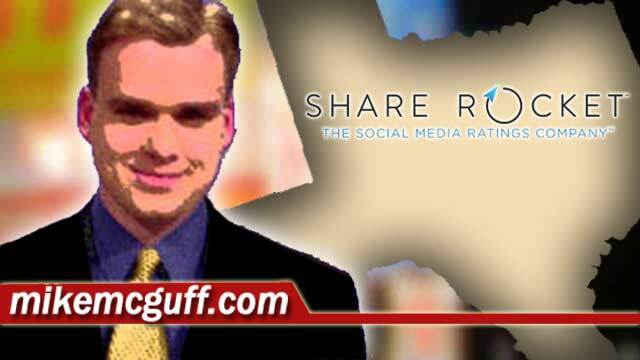 Share Rocket gives us data on how each Houston TV station and the corresponding air staff members performed on Facebook and Twitter. Share Rocket is, "a social media ratings and audience solution providing media companies an easy way to quantify their social media equity, benchmark against peers and turn social market intelligence into insights that drive social success." The numbers are pulled from station usage on Twitter, Facebook and Instagram using Share Rocket's "Share" measurement. First we are looking at every Houston media company in the Share Rocket database and top personalities. Then I am looking at the top 5 on air staff members at each station in order of channel number. DISCLAIMER: No Houston radio stations are listed in the Share Rocket database.